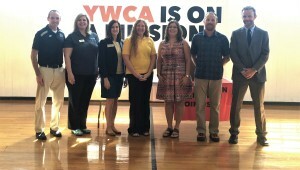 The YWCA received $5,300 for its Fitness Incentive Challenge, which offers incentives for low-income, high-risk YWCA housing program clients to increase their level of physical activity. The Muse Knoxville was awarded $5,000 for its “Listen to Your Heart: Heartbeat Drum” program. The funds will be used to purchase, install and implement an interactive tool to engage children and adults in thinking about their hearts and how different factors affect heart health. The Appalachian Mountain Bike Club received $3,000 to fund materials and equipment that will be used to maintain the urban wilderness trail system, including bridge construction and repair. Knox County Schools was awarded $3,500 to the Hydrate Project, a program to purchase and install water refill stations in two Knox County high schools. This project will impact more than 2,500 students each year. Sunshine Ambassadors, a non-profit organization that teaches students who have physical and mental challenges, received $1,200 to fund equipment and nutritional information for its summer dance camp. 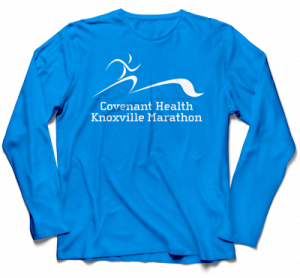 Although 2017 was the fourth year for the Community Contribution Program, the Covenant Health Knoxville Marathon and the Knoxville Track Club have a long-standing history of reinvesting in the community. From 2005 – 2017, $160,000 has been contributed to support projects such as mile markers for local city and county greenways, land acquisition and building trails in South Knoxville’s Urban Wilderness, and a golf cart to patrol and clean the greenways. Past recipients include East Tennessee Children’s Hospital, Legacy Parks Foundation, Young-Williams Animal Center, Ijams Nature Center, Girls on the Run of Greater Knoxville, The Muse Knoxville, and Keep Knoxville Beautiful. An additional $34,431 has been given to the Patricia Neal Rehabilitation Center Innovative Recreation Cooperative, which encourages people with disabilities to pursue leisure and sports activities including hand cycling, which is one of the races in the Covenant Health Knoxville Marathon.